Political and economic changes in Burma have been as rapid as they are surprising. In just three years, the country has gone from an isolated military dictatorship to a largely open country that is at least semi-democratic and has formally adopted a market economy. Both the European Union and the United States have eased economic sanctions, and dozens of foreign firms have moved in. Foreign direct investment increased by 160 percent in 2013 alone. But the transition to an open and free state is far from finished and continued progress far from inevitable, as the country’s tattered ecosystems show. Nearly from the moment of its birth as a country, Burma has been beset by violence. Since 1948, the government has faced armed rebellions from no fewer than 30 ethnic minority groups. This constant warfare directly contributed to the military coup in 1962 and has helped drive corruption, structural violence, and economic stagnation. Cold War-era isolation has facilitated the development of modern refuges along the border between the Koreas and in the area surrounding the former Iron Curtain. But such havens may come under threat once the fog of war lifts. Judy Oglethorpe et al. note the environment is particularly at risk in the period immediately following conflict. Private actors move in to quickly exploit newly available resources, and post-conflict governments frequently prioritize revenues over long-term natural resource management. One need look no further than the mid-1990s see this effect in Burma. Following the country’s second military coup in 1988, the junta began buying off the leaders of armed ethnic groups with resource revenues. In particular, the regime effectively used logging concessions to secure a number of ceasefire agreements. However, according to Karen Ballentine and Heiko Nitzschke, “securing such ceasefires through a combination of economic inducement and military threat does not guarantee a sustainable or just peace, particularly where, as in Burma, the entrepreneurs of violence and corruption are rewarded at the expense of civilian well-being.” On the contrary, conflict economies in these areas simply morphed into “ceasefire economies,” and illegal logging flourished. 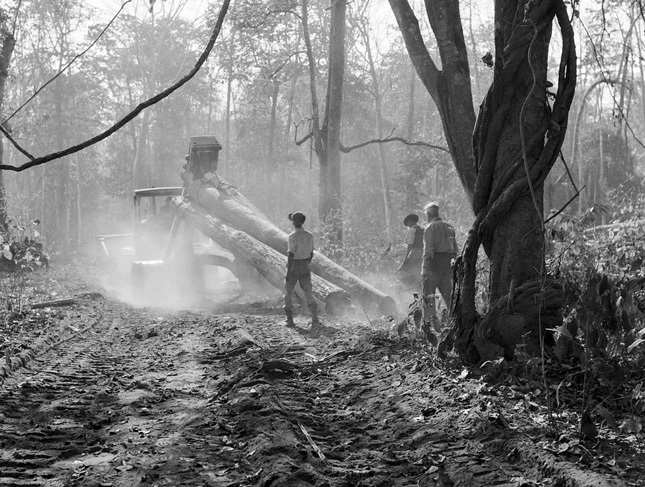 After the junta reached a ceasefire with the Kachin Independence Army in 1994, for instance, the center of Burma’s illegal timber trade shifted to their former area of operations, along the northeast border with China. The risk of environmental damage from Burma’s modernization is not some looming threat; it is already unfolding. Current laws allow the government to seize land and distribute it to private actors without adequate compensation or informed consent. Such policies have contributed to a spike in large-scale land acquisitions or “land grabs,” with nearly 750 cases being reported in 2012-2013 alone. Moreover, despite government attempts to curtail illegal timber exports, they have been on the rise. Burmese businesses exported more than 400,000 cubic meters of teak in 2013, double the government’s quota. The government continues to allow a handful of well-connected companies to dominate the timber industry, to the detriment of the country’s remaining forest cover – and more equitable development. Given these developments, Edward Webb et al. concluded in a January Global Environmental Change article that “recent policy developments seem poised to deeply and negatively affect remaining natural ecosystems across Myanmar.” They project that all remaining mangrove forests in the Irrawaddy Delta, one of Burma’s most densely populated regions, could disappear as early as 2019. Such an outcome would pose an existential threat to the more than 7.7 million people who live there, given the Delta’s extreme vulnerability to tropical cyclones. 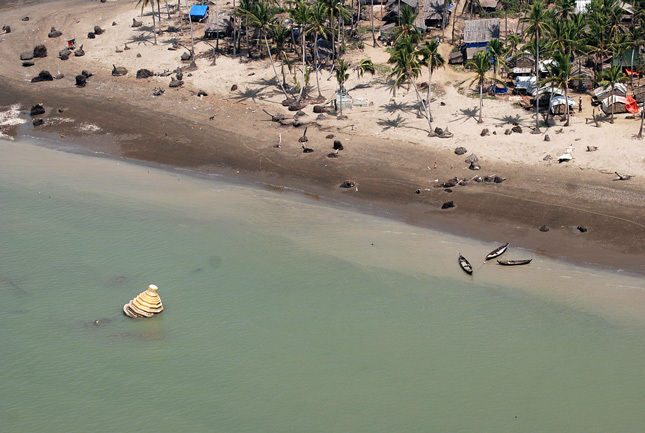 The cyclone’s impacts were exacerbated by earlier damage to the environment, including deforestation and degradation of mangroves, over-exploitation of natural resources such as fisheries, and soil erosion…The deterioration of the natural resource base, in effect, reduced people’s resilience against the impacts of Nargis. Peace and international engagement obviously do not doom a country to ecological catastrophe. But as it opens up, Burma is at a crossroads for environmental management the results of which will reverberate for security and development long into the future. Engagement with environmental NGOs and international donor organizations may help. President Thein Sein has already expressed a desire to join both the European Union’s Forest Law Enforcement, Governance, and Trade Program and the Extractive Industries Transparency Initiative. Additionally, the World Conservation Society is working with the government to double the extent of protected areas in the country from 5 percent to 10 percent. These are promising signs, but the scale of the illicit timber trade, the threat of land grabbing, and the vulnerability of the Irrawaddy Delta remain huge challenges. Recent changes represent important, positive steps towards engagement from isolation and towards peace from war. But the country needs to be proactive if it hopes to foster sustainable peace and development. If it works carefully in concert with the international community, it may be able to secure both. However, if Burma fails to learn from the failed ceasefires of the 1990s, by opting to prioritize rapid economic growth over true sustainable development, it may be doomed to repeat the past. Tim Kovach received an MA in the Global Environmental Policy Masters Program from the American University School of International Service. He has researched environmental peace and conflict for the Environmental Law Institute and the British government and serves on the Executive Committee of the Northeast Ohio Sierra Club. Sources: Deutsche Welle, Forest Trends, Global Environmental Change, Global Times, The Guardian, International Crisis Group, International Institute for Sustainable Development, International Peace Academy, International Union for Conservation of Nature, The New Light of Myanmar, The New York Times, Thomson Reuters Foundation, U.K. Department for International Development, UN Environment Program, Uppsala Conflict Data Program, The Washington Post. Photo Credit: Cyclone Nargis damage, courtesy of Stacey Winston/European Commission; Teak logging, courtesy of UN Photo. Cyclone Nargis map, courtesy of Jessica Pfund and Christiaan Adams/Google Earth Team.